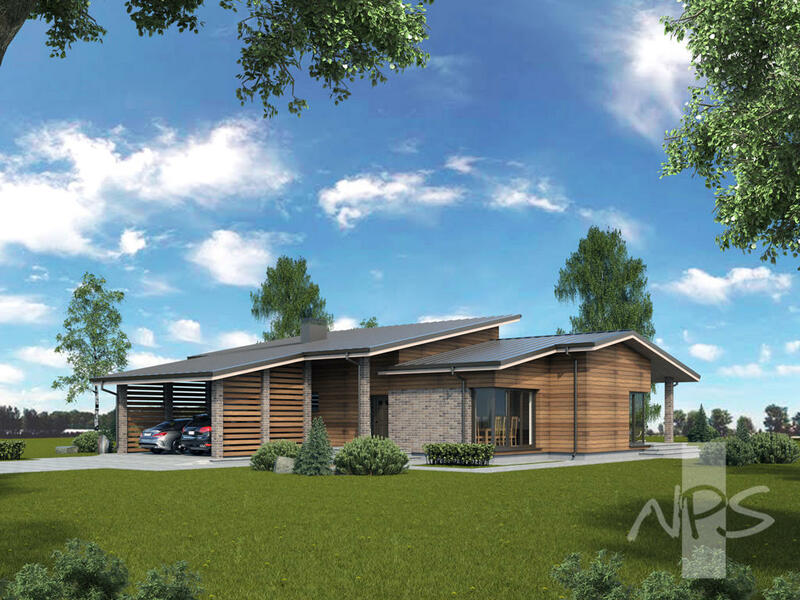 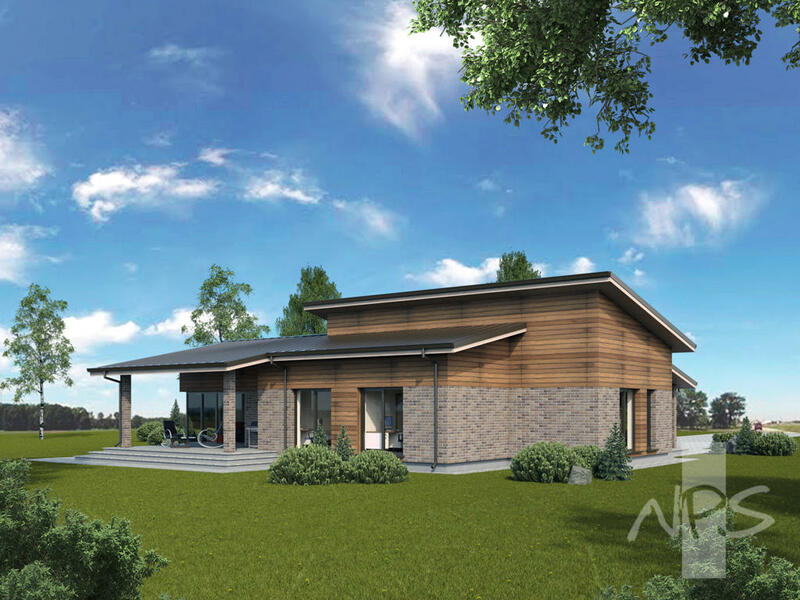 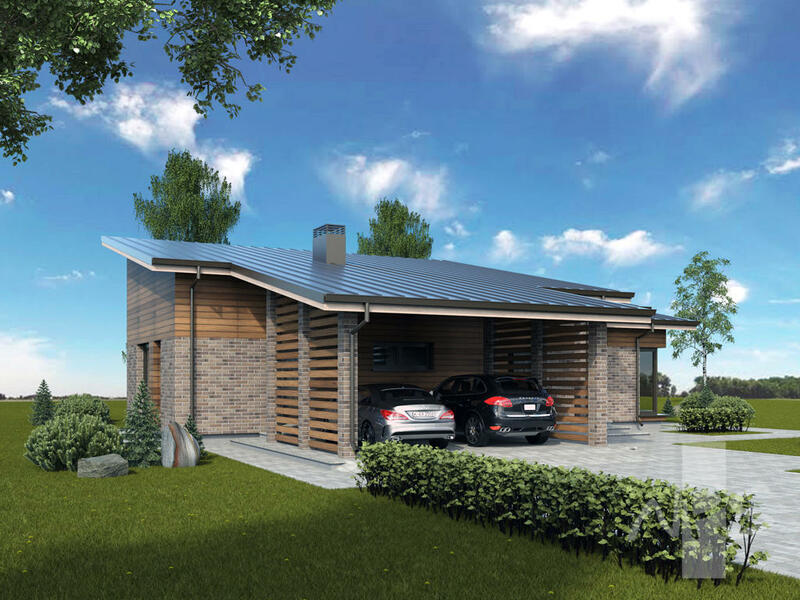 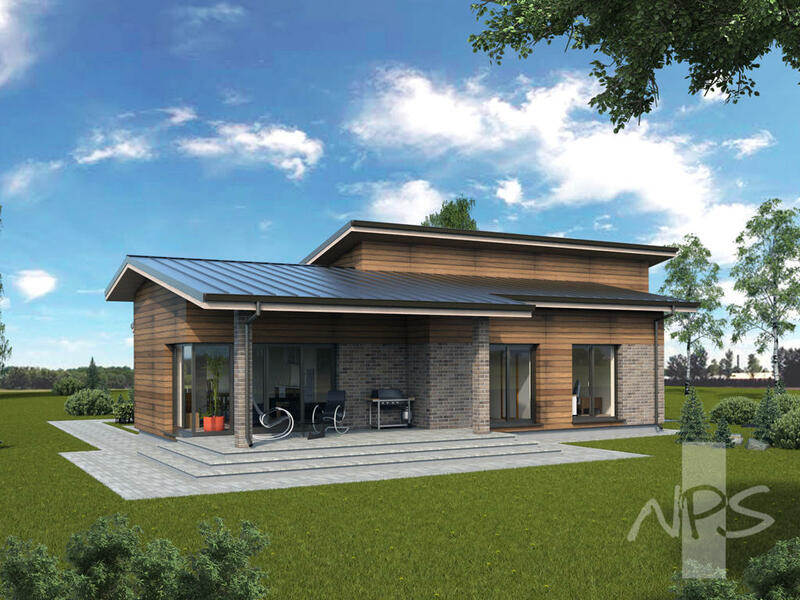 House project Beata is a modern, economical, A + class house, adapted for a family of 4-5 people. 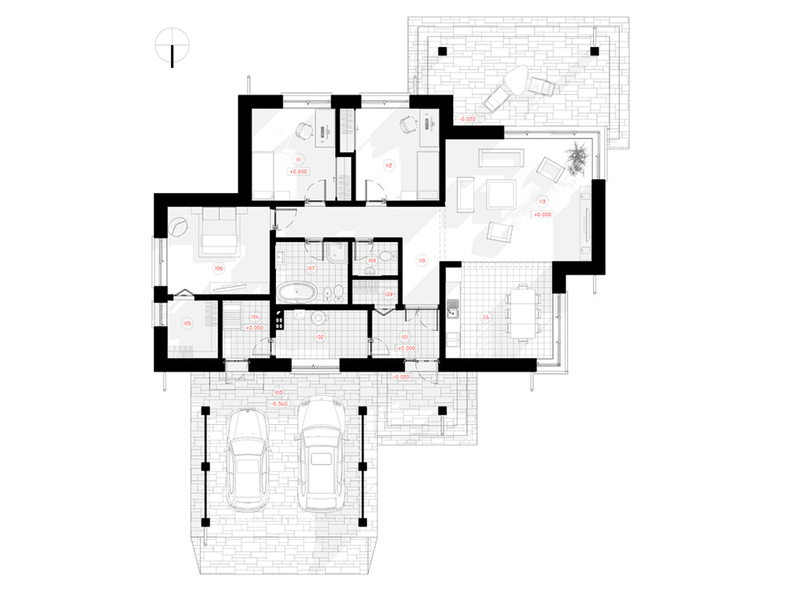 If you want to use the space rationally, in practice, with as little space as possible for the ancillary rooms, this project is exactly what you are looking for. 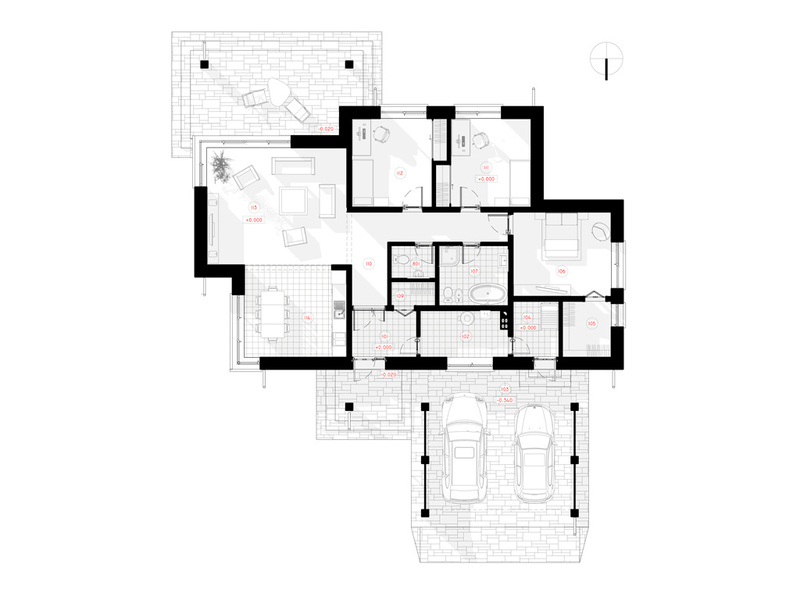 Expressive shape of the house, suitability for most plots, spacious rooms, roof for two cars. 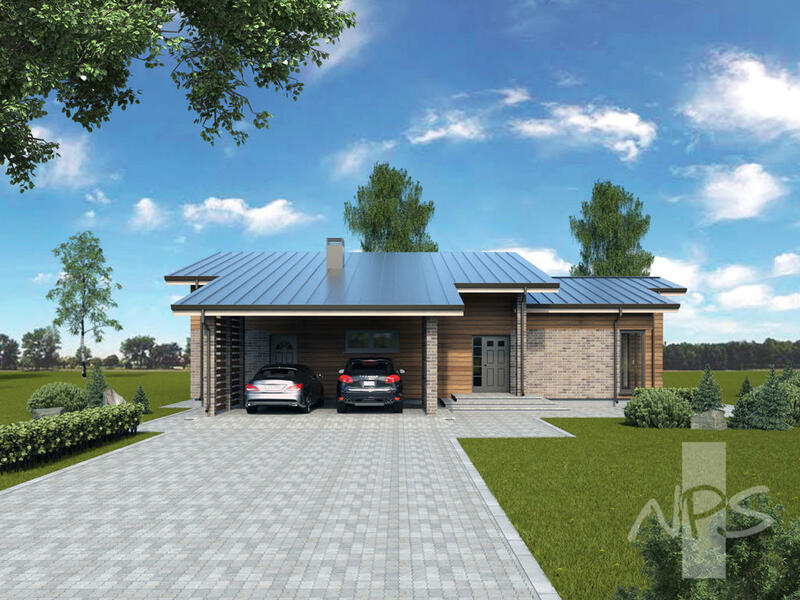 The design of the house and the facade decoration can be changed and adapted to the needs of each person.